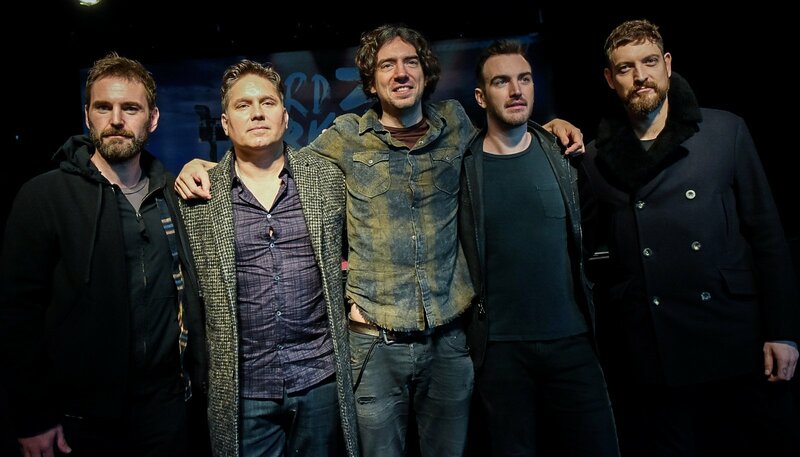 Over the last 25 years, Snow Patrol have released 7 albums and racked up an impressive number of critical and commercial accolades, including 13 million global album sales, 1 billion global track streams, 5 UK Platinum Albums, and are Grammy and Mercury Music Prize nominated. This year on Saturday 25th May they will do the HAT TRICK and return to WARD PARK, BANGOR – their last visit was the biggest show to have ever taken place in Northern Ireland. WARD PARK 3 will be a celebration of Northern Irish music, a day for people to come together and celebrate their rich history and to invite an international audience to come and see everything that Northern Ireland has to offer. 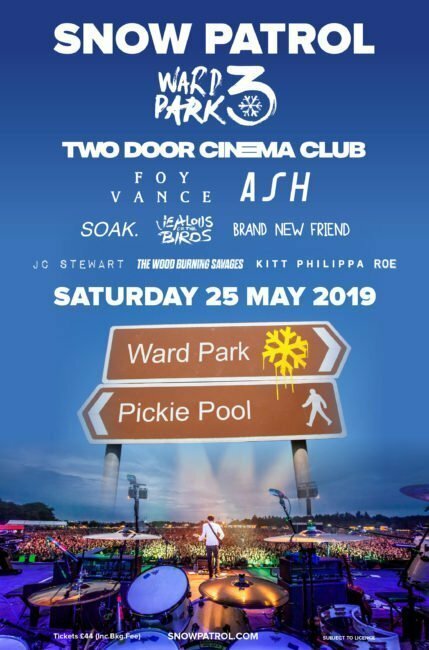 This one-day event will see Snow Patrol supported by a host of Northern Irish bands, including Two Door Cinema Club, Foy Vance, Ash, SOAK, Jealous of the Birds and Brand New Friend. There will also be a second stage curated by Snow Patrol and Gary Lightbody’s NI artist development company, Third Bar, with up and coming artists including JC Stewart, The Wood Burning Savages, Kitt Philippa and ROE showcasing the future of the NI music scene. 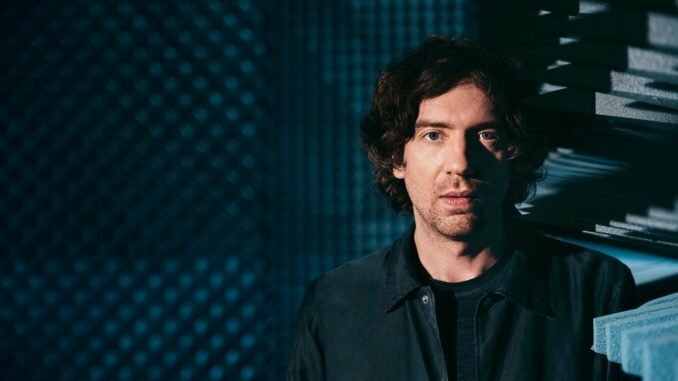 Mark Millar caught up with Snow Patrol frontman Gary Lightbody for a chat to find out more. Snow Patrol will play Ward Park in May. It’s not far away now – are you excited? GL: I’m very excited – it’s something that we’ve been planning to do for a long time. Obviously, we needed to bring an album out to do it again, which is the reason why it’s taken such a long time to do anything really, to get back on tour and to think about something like Ward park. We didn’t want to leave it with two shows – we wanted to complete the hat trick. Every time I go out in Bangor to go to the shops over the last ten years, people would always ask me, “When is the next Ward Park?” That was the question more than “When is the next album or when is the next gig?” It was mostly, “When is the next Ward park?” So we knew there was an appetite for it. The first Ward Park shows were two of the best shows we have ever played, and it was two of the best crowds we have ever played to – it was just two of the best nights we have ever had. What can fans expect on the day of the show? Will the show be different from your recent arena shows? GL: We are trying to make it as special as we possibly can. It will be Snow Patrol songs – we are not going to do a set of covers. (Laughs) We are planning a very spectacular show. We are putting a lot into the setup and the lighting – it’s going to look different from the other two Ward Park shows, that’s for sure, and any show we have done recently. We have just got the plan in for the staging from our lighting designer, and it’s going to look amazing. There’s such a wealth of musical talent in Northern Ireland right now. How did you choose what acts to play with Snow Patrol in this year’s Ward Park? GL: As you might expect, there was a long list, and there were some bands and artists we had to ‘not’ pick. 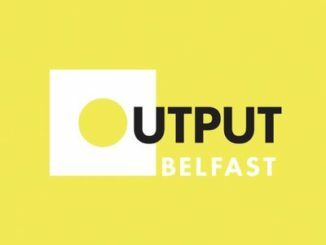 My original list had thirty bands and artists on it – that’s how extraordinarily deep the talent pool goes in Northern Ireland right now, it’s a place that is really flourishing with talent. 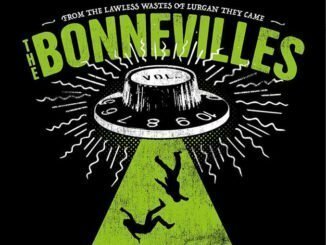 We wanted to show as wide a range of bands from Northern Ireland as possible, as well as having our biggest acts on the bill, as well as having the emerging talent, to have that balance. It’s not a commercial venture, but we also want to have our biggest bands, because they are also our best bands in some ways. Two Door Cinema Club are an extraordinary band – they are a bigger band than we are in most places in the world, they are huge. And then we have groups like Brand New Friend, The Wood Burning Savages, Kitt Philippa and Roe. We wanted to have a wide range of acts as possible – the idea was that everybody was from our wee country, and everybody was represented. You grew up in Bangor. What do you love about the place? GL: I live on the coast, and my favourite thing I do every day is a walk along there – that’s my happy place and where I get peace. Obviously, I love my family being in Bangor – I spent a lot of time away from home in the early years of my niece’s life, and I’m glad to see more of her growing up, and be closer to her and also be closer to my mum and dad. My dad isn’t doing that great, which I wrote about on the album. It’s just good to be closer to the family, and at this stage in all our lives it’s very important to me. The song about your dad on the ‘Wildness’ album called ‘Soon’ is such a great track – it’s probably my favourite on the album. GL: Thank you, the song means a lot to me. We have only ever played it once, and he was in the room when we played it, and I barely got through it. It’s not a song we will play live very often, because I like to disconnect emotionally from where the songs have come from and try and enjoy the experience of playing them live to whatever audiences we are in front of, but ‘Soon’ is almost impossible to disconnect from emotionally – it’s too raw. Can you remember the first Belfast show Snow Patrol played and was there many people at it? 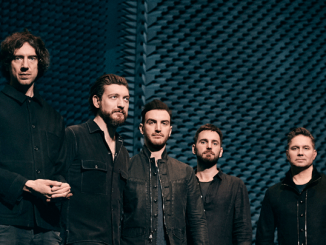 Snow Patrol’s latest album, ‘Wildness’ is your first album in seven years. Will fans have to wait as long for the next? GL: (Laughs) No, but of course I said that the last time, so why would you listen to me? We already have songs written and will be releasing music this year that we have already recorded – it’s not technically going to be a new album, but there will be some new songs, and then it will be followed by a proper new album, I would hope within a year or two. I don’t want to leave it too long again. I think we’ve left it long enough that we can release a few things in quick succession now, without anyone getting too annoyed. Music film biopics and documentaries are very much at the forefront at the moment with the Queen movie and the Oasis and Coldplay documentaries. Could there be a Snow Patrol film down the line? GL: It’s funny you should mention that because BBC Northern Ireland has been out on tour with us for the last six months. The documentary will feature various shows in the UK, Ireland, and America, and it will be on television before Ward Park. I’m not sure I’m supposed to be telling you that because they haven’t announced it yet, but you did ask – so there you go, that’s an exclusive. 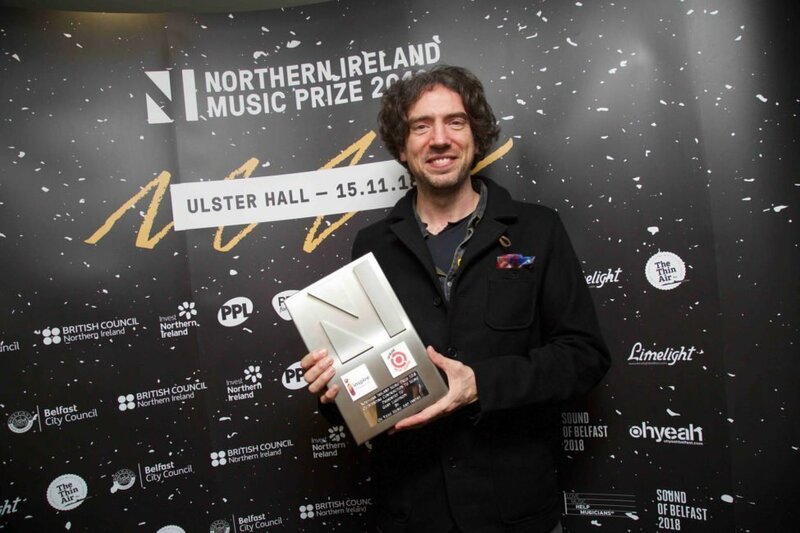 Late last year you were the first recipient of the special award Outstanding Contribution to Music NI music prize. How did that feel? GL: It was beautiful but very strange. There’s the funny response which is, am I supposed to quit now? As it’s an award you’re supposed to get at the end of your career, but genuinely, I was completely humbled by it. I think there are a lot more people than me who deserve an award like that – I’m thinking about Mike Edgar who presented me with the award, Davy Matchett, Tim Wheeler, David Holmes. I could keep naming people that I think deserve it more than I did, but it was lovely, and it was an excellent night for Northern Irish music. All the bands that played were fantastic, and all the bands that won made great albums and music in the last twelve months. It was lovely to be part of it – it was great.